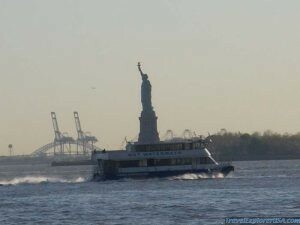 Get on a ferry to Ellis Island and enjoy the city skyline from the water. The view from the top of the Statue of Liberty is simply amazing. Visit the Ellis Island National Museum. You may have an ancestor that first migrated to the United States via Ellis Island. 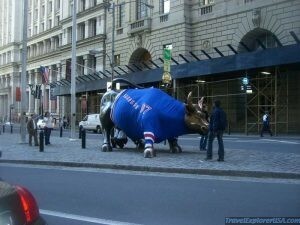 Wall Street Bull Manhattan New York. Manhattan is the financial hub of New York City. A busy place with some many cool shops, flashing lights and digital signs. 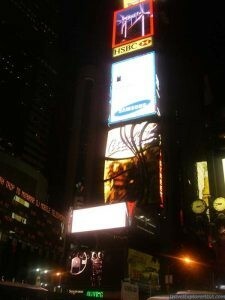 Most people will remember this place from ringing in the New Year on TV. If you love to shop, you can find all sorts of stores here. It is pedestrian friendly. If you don’t want to walk, get a cab to Broadway and enjoy a good show. It is best to purchase tickets in advance. The United Nations Headquarters overlooking the East River is another cool place to visit. It is amazing how many different Nationalities make their home in New York City. If you have time and want to get away from the busy city streets, take a walk through the Central Park in New York during the daylight hours. A great way to experience New York City. This entry was posted in New York, Travel, United States. Bookmark the permalink.